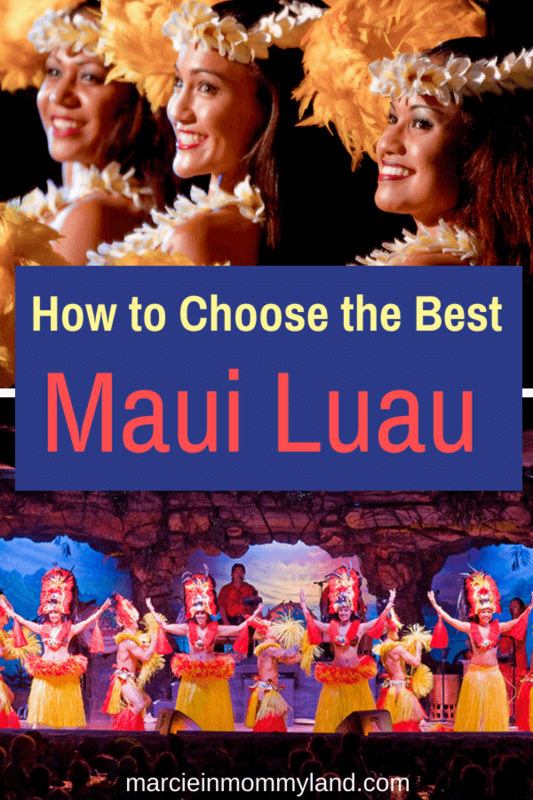 Which of These 12 Maui Luaus is the Best Luau in Maui? Maui is a top Hawaiian vacation destination for couples and families because of all the activities and relaxing island vibe. You can read why my family loves Maui in my Maui Travel Guide for Families. One of the top things to do in Maui is attend a traditional Hawaiian luau. 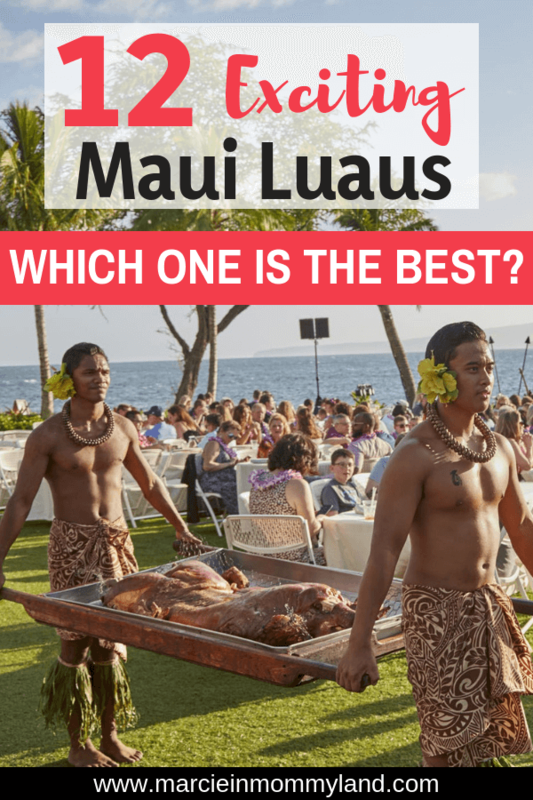 But, choosing the best luau in Maui for your family can be tough. If you are looking for an upscale Hawaiian luau in Lahaina, the Feast at Lele is the perfect fit! It’s run by the people who created the long-running Old Lahaina Luau, but it’s totally different. Instead of going through a buffet line, eating dinner at a long table, and then watching a show, it’s more like a fine dining experience. After grabbing a cocktail, you’ll be seated at a private table just large enough for your party. My husband and I sat at a little table for 2 and it was so nice! Your server will bring you an appetizer and several courses of delicious food from all over Polynesia. As each course comes out, performers take the stage to highlight a few dances from that Polynesian island. It’s great because you can chat in between performances. Oh and this Maui luau is right on the beach! Perfect for sunset photos (yes, they have a photographer) and taking a romantic walk on the beach before dinner starts. This is definitely my pick for the best luau in Maui. Most of the luaus in Maui are located in Lahaina. So if you are staying in Lahaina, you can easily walk to several of these Lahaina luau options. And if you’d like to make a whole day of cultural experiences, sign up for a Maui Nei tour of Old Hawaii before your luau! When you look through any tourist magazine for Maui, you’ll see ads for Old Lahaina Luau. It’s definitely the most popular luau in Maui and is sold out most nights, so I suggest booking before your trip. The Old Lahaina Luau has won countless awards like “best luau in Maui” and “favorite luau on Maui” from multiple publications. I have to take a moment to talk about the food. Old Lahaina Luau offers some incredible food choices including crab salad, grilled beef, fried rice, two kinds of poke and tons more food. Plus, you can get traditional luau fare like kalua pig, poi, chicken long rice, laulau, etc. What’s cool about Old Lahaina Luau is that guests can choose to sit on traditional Hawaiian mats for the full luau experience. The entertainment starts right at sunset starting with Tahitian dancing. As the evening continues, the dancers switch to both ancient and modern styles of hula. The Myths of Maui Luau is located at the Royal Lahaina Resort and is the longest running oceanfront luau on Maui. Since this Lahaina luau is offered nightly, there’s a good chance you can get tickets during your vacation. If you really want to get good seats, try booking for Monday or Saturday evenings, as these tend to be the least crowded. There’s even a kids buffet with child-friendly menu items like chicken nuggets, mac and cheese, hot dogs and chips. For families with young kids, you can bring your stroller and they even have designated areas to park your stroller. Children under 5 years old are free. This Hyatt Regency Maui Luau is also in Lahaina, Maui. Drums of the Pacific Luau is another one you’ll see advertised in Maui tourism brochures. 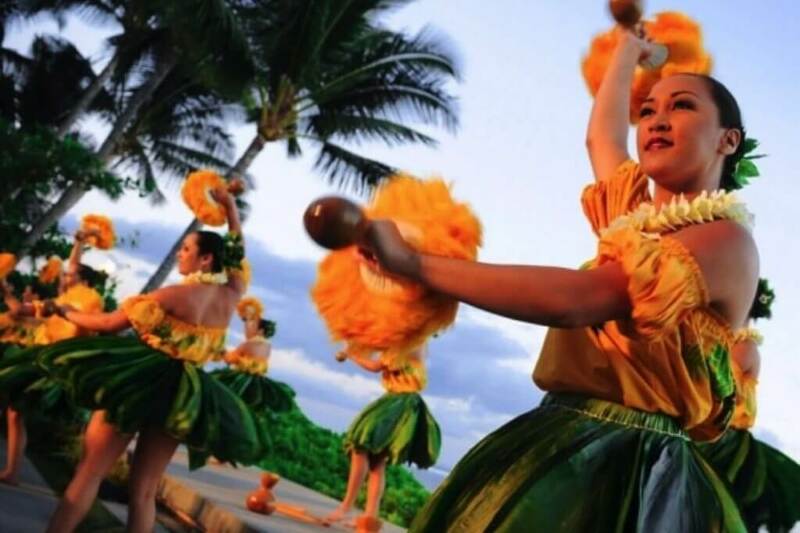 It’s the only luau I know of that features dances from the Tuamotus, a French Polynesian chain of islands. That’s in addition to dances from Hawaii, Tahiti, Samoa, Cook Islands, New Zealand, and Tonga. Drums of the Pacific definitely focuses more on the thrilling/exciting Polynesian dances. They also have a Polynesian fashion show where guests can see the many creative ways to wear a sarong. They sell sarongs (also called pareo) all over Hawaii, so this is an inexpensive souvenir to bring home and it doesn’t take up much space in your suitcase! If you are staying up in Kaanapali, you don’t need to drive far to find a luau. In fact, you can even just take an Uber from your hotel/resort if you aren’t renting a car. If you have a stroller or wheelchair, this luau takes place on grass and is handicapped accessible. If there’s rain, the show may move indoors to their ballroom. This is the best Kaanapali luau for people who have gluten sensitivity, as most of their menu items are gluten-free. They even have a kids buffet with kalua pork sliders, mac and cheese, and chicken strips. Another beachfront luau in Kaanapali is the recently renamed Maui Nui Luau. This Sheraton Maui luau is run by the world-renowned Polynesian entertainment group Tihati, who run several luaus throughout Hawaii. Maui Nui Luau is located at Black Rock, the infamous cliff diving spot on Maui. This makes it the cheapest luau in Maui and perfect for picky eaters. The Legends of Kaanapali luau is located at the Kaanapali Beach Hotel. Guests of the hotel get a special discounted rate. The luau takes place in their hotel courtyard that features the largest tiki in Hawaii! Otherwise, there isn’t much that sets this luau apart from others. The Legends of Kaanapali luau is only available on Mondays. 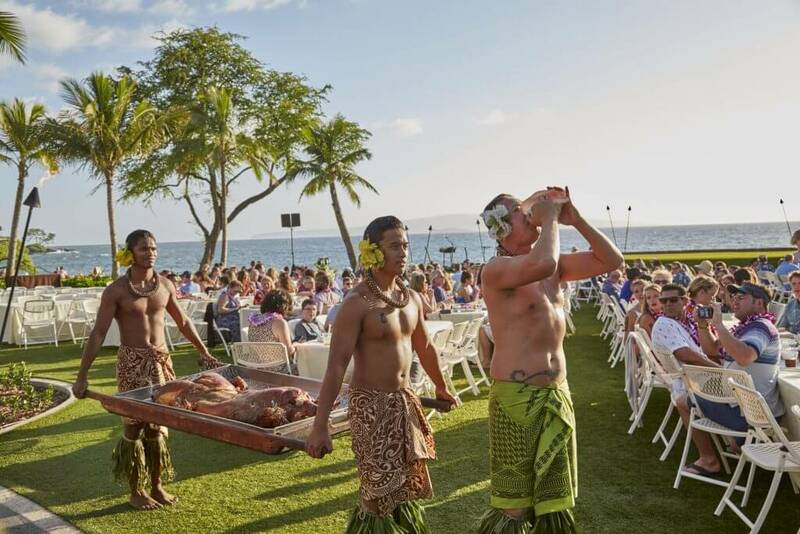 Guests of the Westin Maui Resort & Spa will appreciate this on-site Wailele Polynesian Luau. While it’s not a beachfront luau, it’s very close to Kaanapali Beach. The stage was recently redesigned, as was the Aloha Pavilion. 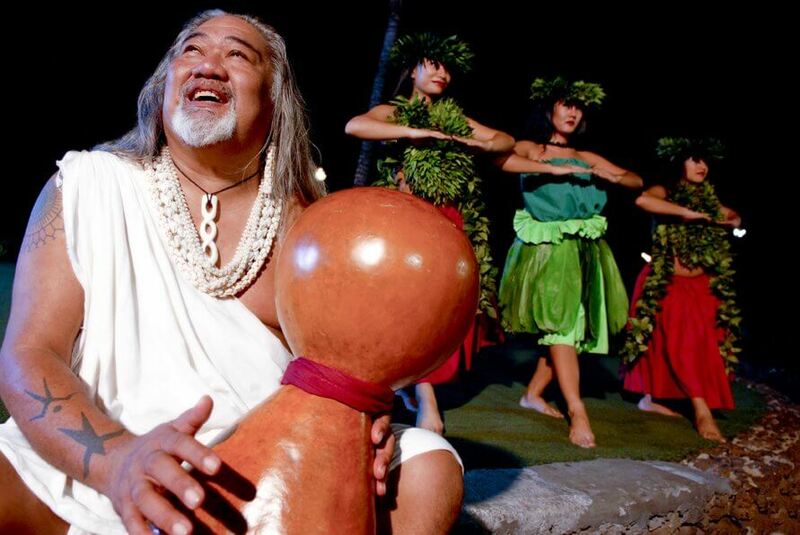 This Westin Maui luau features dances from Hawaii, Fiji, Tahiti, New Zealand and Samoa. For kids, they have a kids buffet that features children’s favorites like pizza, spaghetti, hot dogs, chocolate chip cookies, and more. It’s also ADA accessible, so perfect for strollers. And if you go to their website, they do a great job of highlighting all the dietary restrictions. If you are staying on the South Shore of Maui, there are a few luaus in Wailea. If you are lucky enough to stay at the gorgeous Grand Wailea Hotel, you have an easy walk to the Grand Luau at Honua`ula. What I like about the Grand Wailea luau is that you can check in early to get your wrist bands and then can hang out at the pool bar or the beach until doors actually open. This saves you precious time waiting in line so you can soak up more of your Hawaiian vacation. What really sets this luau apart from the rest is that it focuses on Hawaiian stories and incorporates those stories into the performance. These stories involve mermaids, ancient gods/goddesses, voyagers, and more. Because of that, the show features a mix of traditional dancing as well as unusual and impressive feats! They also have an extensive menu including allergy-friendly dishes and vegetarian/vegan options. If you want a luxury luau experience (read PRICEY) than the Feast at Mokapu at Andaz Maui at Wailea Resort is worth looking into. Adult tickets start at $200 and children tickets start at $100. The focus of this luau is on the menu created by Executive Chef, Isaac Bancaco. If you haven’t heard of this luau before, that’s probably because it’s pretty new. I think it launched in April 2018. 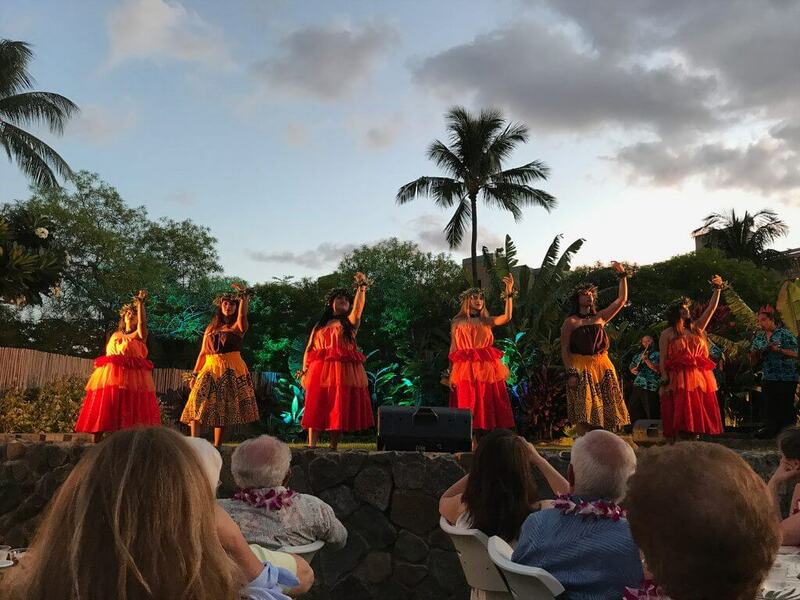 If you are staying at the Marriott Wailea Beach Resort in Wailea, Maui, you have an amazing on-site luau run by the Polynesian entertainment group Tihati. It’s located on a grassy area outside with an incredible ocean view. Kids will get a kick out of receiving a fresh flower lei or wooden fish hook necklace as they arrive. 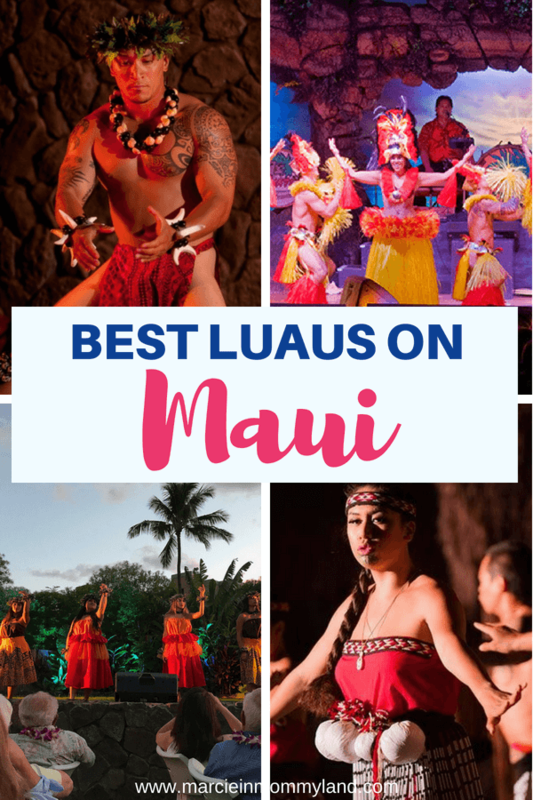 It’s very similar to the rest of the luaus in Maui, so I’d recommend it primarily to people staying in the Wailea area who don’t want to drive up to Lahaina. Is There a Kihei Luau in Maui? If you are staying in Kihei, you’ll most likely need to head South to Wailea or North to Lahaina to see a luau. However, there is one Kihei luau in Maui that takes place on the last Wednesday of the month. 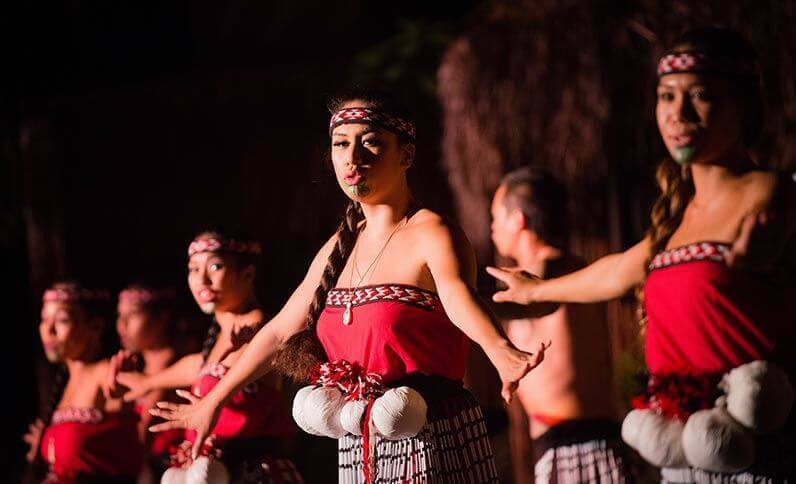 If you happen to be on Maui on the last week of the month, you can try to get tickets to the exclusive Migrations experience through Sugar Beach Events. What really sets Migrations apart from other luau options is that they only sell 50 tickets. So, that makes it one of the must intimate luau experiences in Hawaii. And instead of waiting in a buffet line, you’ll enjoy a plated dinner featuring Pacific Rim cuisine. They do an ‘Awa Ceremony, which I’ve only ever seen at Toa Luau on Oahu. This is an ancient Hawaiian tradition where guests share a special drink as they welcome each other. But, something I’ve never seen before is that they end their luau with a “talk story” moment around a fire pit. Dancers and guests sit side by side and share thoughts and stories. What an incredible way to end a memorable event. If you like comedy and magic, then this is the show for you! In this 4 hour event, you’ll get to eat, drink, and participate in this interactive comedy and magic show. And because it involves the audience, no two shows are alike. Ticket prices started at $69 (as of August 2018) so it makes it a big cheaper than doing a luau. All guests must be 21 or older, so this isn’t a family-friendly option. These all sound like amazing and fun additions to a Hawaii vacation! My son and I just attended one in San Diego at a resort and we had so much fun! Oh how fun! I didn’t know they had luaus in San Diego! I didn’t know that there were so many luaus in Hawaii. I’ve always wanted to go to one to be around all the rich culture and I know that there’s really great food. They are such a fun way to get a bit of Polynesian culture in Hawaii! THIS is exactly what I needed. I think next year we’re going to do Hawaii instead of California as we’ve done for the last 4 years. We need a change, that and I do not want to fair the lines during the opening of Star Wars Land 😉 This is a brilliant article and a ton of help. THANKS! Haha! We’re really excited for Star Wars Land to open, but I’m also getting a bit worried about what the crowds will be like! Hawaii is ton of fun for a family vacation! What a vibrant colorful place! I’ve always wanted to visit Hawaii for a vacation and the luaus look so fun! I love experiencing the luaus available! Wow so colorful and full of life. I hope to get there some day. It is so distant, need to save up a lot. Yes, it’s definitely far away but worth the trip! 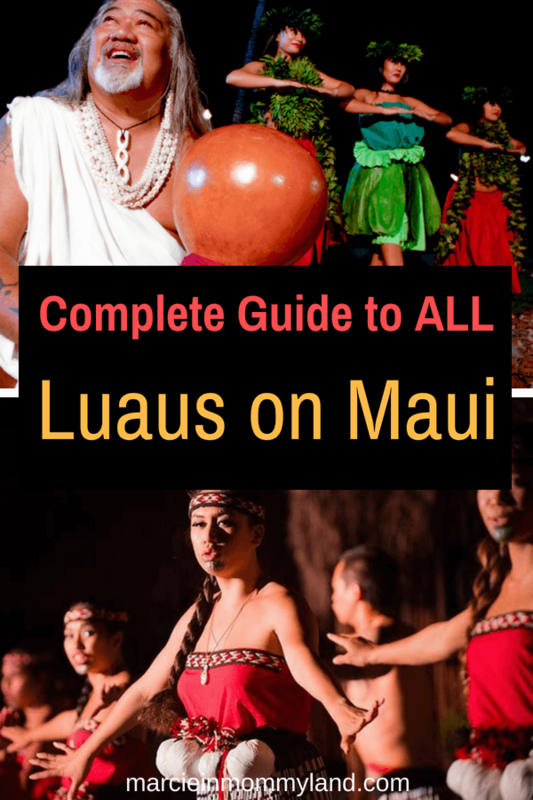 This is a terrific article about Maui luaus. 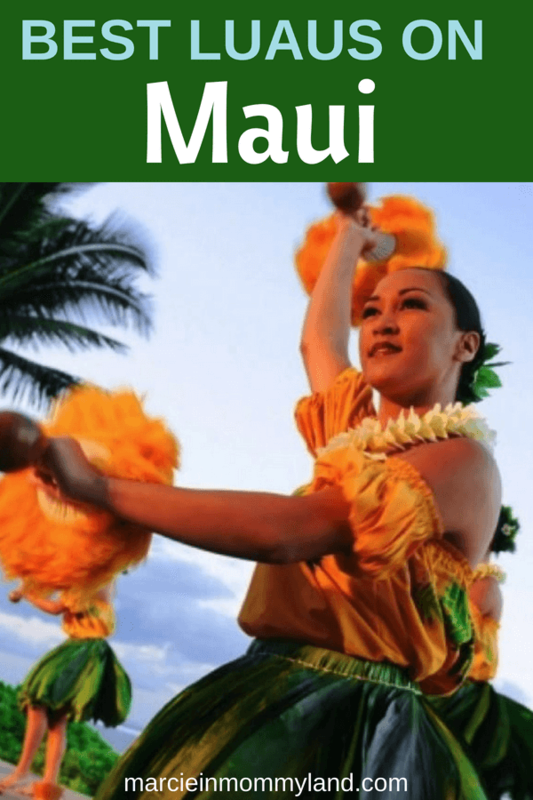 I’ve been living part-time on Maui for several years, have been to several of the luaus, and thought I knew all about them. But I learned lots of useful information from your post. One comment I have is that, in my opinion, the Old Lahaina Luau is great for adults but are not good for young children. I think kids are more entertained and have more fun at the Hyatt or the Grand Wailea. I didn’t like the Feast at Lele as well as Old Lahaina, and I feel it’s also not kid-friendly. It’s always great to hear other opinions! It’s funny because my neighbors actually recommended the Feast at Lele to us a few years ago because her 3 year old had the best time! That’s why we went and I loved that kids could run around the beach to get some wiggles out before (and in between) the show.